ROAD TOWN, Tortola, VI - With no forthcoming explanations, apologies or compromise from the BVI Festival and Fairs Committee (BVIF&FC) as it relates the controversy surrounding this year's taking of the award for the Road March competition, Showtime Band has taken the liberty of naming themselves the champions for the 8th time around. 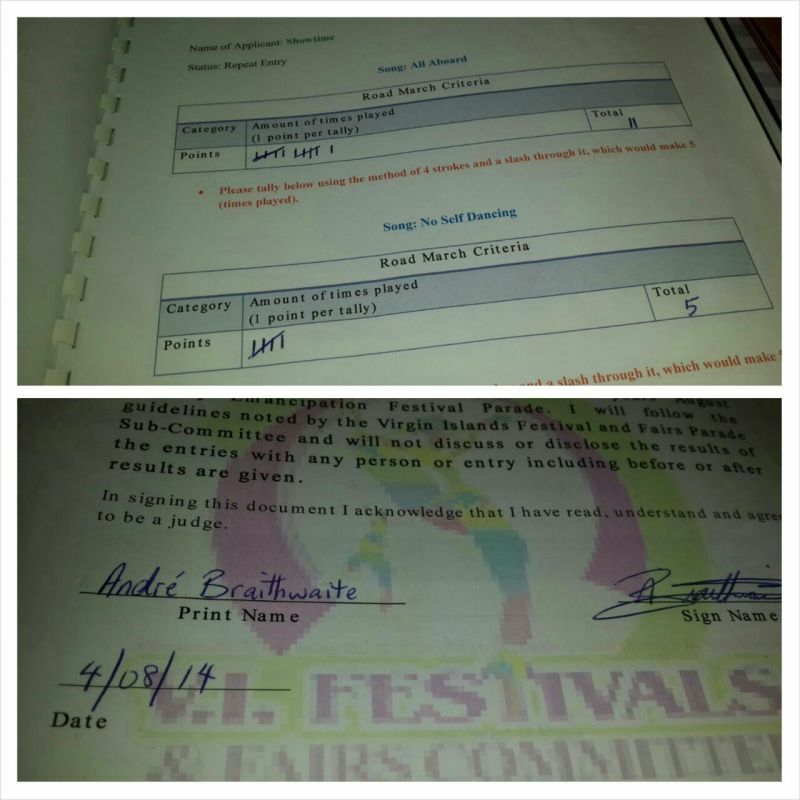 In speaking with this News site leader of the band Eustace 'Boss' Freeman said that BVIF&FC Chairman Mr Marvin 'MB' Blyden has failed to come clean and as such he and the band members are standing by the evidence that there was a tie between Showtime band's song ‎"All Aboard" and VIBE's "Bubble". He insisted that they have not accepted the rules being changed in the middle of or after the competition. "‎In 8 years nothing was awarded to Showtime that was not worked for and deserved, many probably tired of seeing Showtime band hold the title but it's our work that brings us triumph,” he said even as he recognized and thanked their many fans and supporters who he said have been the main reason for the success over the years. "We want to also congratulate VIBE in sharing this title with us," added Mr Freeman. Cementing their position that show clearly that the two songs for Showtime Band and VIBE had tied, this news site was provided with copies of the score sheets which bear the evidence. Mr. Freeman said that they are very satisfied that their claims were not ones in the air but based on facts and with their decision that they are sharing the title with VIBE, they are now moving on. Efforts by this news site to contact Mr Blyden for a comment proved futile. Is controversy brewing over Road March champ decision? ROAD TOWN, Tortola, VI – Controversy seems to be brewing over the BVI Festival and Fairs Committee’s (BVIF&FC) stand taken in deciding on which band it was going to crown Road March Champion for 2014. Informed and reliable sources have indicated to this News Site that the most played song for VIBE ‘Bubble’ and that of Showtime Band ‘All Aboard’ had the final scores tied and according to our reliable source there was no tie breaker rule. 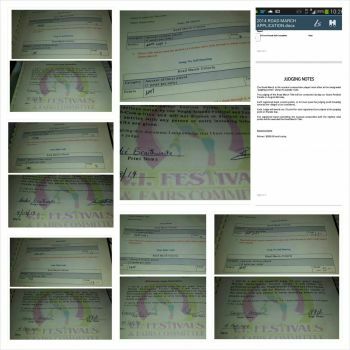 Last evening August 8, 2014 the BVIF&FC announced that VIBE were Road March champions this year. According to information reaching this news site, each band could have entered a maximum of four songs for the competition and the one most played was the one to be judged for the coveted championship prize of $5k and a trophy. “Basically MB changed the rule yesterday from Road March song to Road March band…adding up all the bands’ songs scores as one,” alleged our inside source. 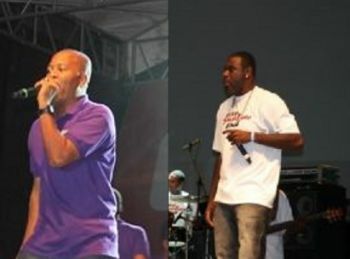 The source indicated that in the past Showtime Band had songs that tied in the Road March competition both of which were acknowledged as winners. Valiant efforts by this news site to reach Chairman of the BVIF&FC Marvin 'MB' Blyden for validation of this information have been futile up to post time. Contacted this afternoon, Band Manager of VIBE Mr Roger N. Frank said that up to the time of speaking with this news site he had no knowledge that there was any tie in the competition. He also said that he was not aware of any tie breaking rule. Similar questions were put to Manager of Showtime Band Mr. Eustace ‘Boss’ Freeman who said that he was informed of the tie but he declined to comment further although pressed by this news site for his opinion on the development. “I have no comment on this,” he insisted. I knew this would have happened. This is unfair to the other bands to make a sole decision. Authorities please look further into this matter. 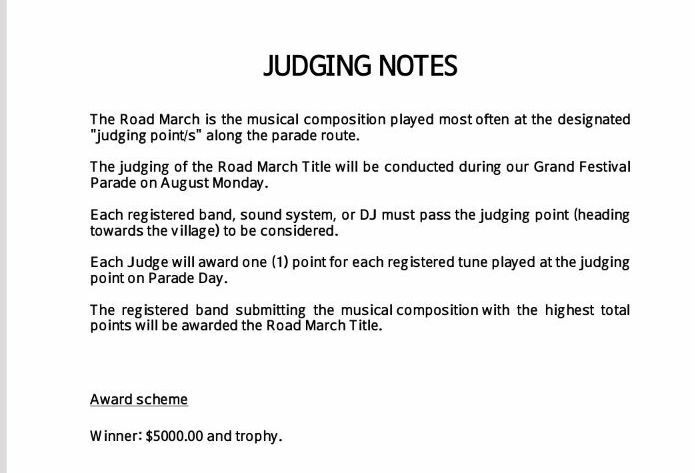 If the rule changed to road march band then that should be Showtime because no one was ever supporting Vibe. The major of ppl were supporting Showtime. What song did Eustace sing exactly again? Y'all need to quit with this .... behavior!! Criteria is Effin criteria, all the television sets playing the parade watch and count. Nuff ayo congratulating the man dem and still hating....Fyah Bun Bad Mind!!!!! The sooner MD and Myron acknowledge that fact they made a BIG mistake and starts to act accordingly the better it will be for us all. We'll look a f!ck here now!!! I here looking at the PARADE and i heard Bubble but i heard All Aboard More......how this thing really set up buddy? I dont know what parade you watching because I didnt even know Showtime had a song in the running. Almost evey troupe performed to bend your knees and bubble until I was literally sick of it. I dont back bands....but whoever sang bend your knees and bubble ought to win the title. It was the most played and performed to song. its so sad now to see as soon as a next band other than showtime win road march is all sorts of things. so only one band surpose to win road march??? give me a break. AMEN. ....MY POINT EXACTLY !!!!!! seems as always rules are made up as we go along . why did not any of the band members either see this error ? 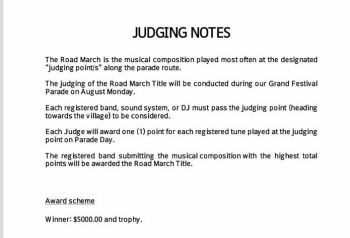 I am happy to see that they are doing like the rest of the world when it comes to road march .the song that is played the most on carnival day in the judging are is the winner .remember the 60th because of this incident. it felt more controversial waiting weeks after carnival to find out whom won the road march . so sad that all these smart people did not think it needed a tie breaker rule . I hope they look through the rules and find out if there are any more errors so we do not have a repeat of this . Congrats to VIBE ! happy that we had a safe carnival and this will encourage many visitors to return and even bring friends and make next year even bigger and better . Vibe killed them ! 'Boss" is a sore loser ! The only reason Showtime - All Aboard - was popular ... it's because it was being FORCED to be played ...... by the DJ's, in the troupes etc.....I heard more bullying being tossed about VIBE than any from VIBE ..... All of this was for manipulation and to tarnish their image ..... School children crap. ..... I even hear Pumpa was told to stop play for Treasures Troup cause the DJ had to play Showtime.....wa kinda bull is that!!???? So again ...Showtime was FORCING their songs on the road!!! Showtime needs to learn how to take a loss gracefully. Instead of the griping and bad mouthing how about just saying: "Yeah Bubble was the hit on the road, Congrats to the Vibe team on a hard fought win!" Let it go and come better next year. the committee should acknowledge their mistake in making the rules and if it is a tie so be it and let the share the roadmarch. whom one this year was suppose to be the most fair and controversial winner being that the troupes would decide the winner and not 4 or 5 people in a room. this is not a decision placed on MB's shoulder , whom wins the roadmarch . lets be honest if you were in any contest and there was no tie breaker and you and someone tied for first you would not feel good being the loser . it is sad to see that persons with businesses are being put in these leadership positions and they continue to make stupid simple mistakes . if they ran their businesses this way they would have closed years ago . it seems they know better but when it comes to government they do what they want not what is right . think of the pastor that brought the ambulance boat Tortola to fix , would he have done that if he bought that boat for himself to make money ? Everything Myron touch is a deserter shame on the NDP shame of MD a big NDP and support of this government another reason why the NDP must go! I wish boss would stop acting like his very ......... brother he cries for everything omg you loss take it.... Now it gone from being political to who pay who to now a cheat.... Boss your nasty attitude is why you only have 10 rasville fans.... Vibe loss last year and took it gosh... You are full of confusion that why we had to leave you best decision ever!!!! So Showtime can & does all the things u mentioned? The ppl who back them are idiots to? You sound disgruntled just like the boss & his lil band wagon...get a grip for heaven's sake man. Congrats To Vibe - Bubble... Nice Track-----B.U.T.-----Play Fear, Judge Fear, Rule Fear, And Win Fear!! #All Aboard! Good Over Evil! This is just a shame. We found out the band has been rigging the road march for years. This is a disappointment to all the other bands who has been robbed over the years. Even when showtime donot deserve road march it was given to them.VIBE won fair and square.Boss go sit down and try compose some calypso to engage the youths to be apart of their cultural heritage and stop beg for what is not yours,and thats my judgement on the matter. I don't know what wrong with Boss. Anybody that watched the parade and even went Village, realized that VIBE had this Festival hands down. The boy need to relax and realize he's a man not a damn woman. SMH! Good job vibe "boss take ur lost like a man" better luck next year!! "winning" is not limited to one party at the expense of another. that is pure revenge from mr thing for when boss speak out against him along with the other calypsoians and their issues sometime ago .he was holding that grudge for show time . VIBE is the 2K14 Road March Champs. They didn't have to go around bullying and begging anyone to play their song. Last year when Showtime band bvi won road march, the then VI Showtime took their lost like big men. This year it is VIBE's time to shine and Showtime band bvi need to stop acting like pu...es and accept the people loving the bubble and VIBE is MASS, their music really got the whole place turn up. Whoever is the sub-committee bring the scores and put them up live, let the public see what the points are for troupes, floats and road march, T...or G...t and A...a L...rd there are heads in sub-committee and if they are apart of wrong doing they need to be remove as sub-committee leaders, people need to be truthful with tallies, it have people doing the counts and then the executive board would look over and they are not there, to see the changes they need to step down for their post. In both sub-committee and executive board. Asked any troupes leaders they would tell you this been going on for years, it even had curse out with the sub-committee members seeing wrongful doing and back lash. Boss just can't accept that he ain nothing without jugo dem!! I sick of him now man.. He need stop. I can't believe the NDP allow this to happen to show time. hmm, yet another CREDIBLE reason why the NDP needs to go and take a hike! According to the article, Boss is not the one whose protesting the decision. Y'all should stop writing comments that has nothing to do with the point(s) made in the article.... Fair is fair, the committee should have adhere to the rules; if there was actually a tie, both bands should have been notified and then a tie breaker should have been decided upon. Boss we know this is u. stop hiding behind posts . sore looser!!!! Schupps. It am in awe with the nonsense Bvislanders take issue with. Road march champions...schupps. Does it matter that much? OK this is my view: I was at the reviewing stand everyone was playing the bubble song. some played showtime as well but VIBE was the crown favorite. so how on earth MB get a tie, I am still unsure, it may be because showtime manager is a member of the committee ...... just a suggestion. but if and a strong if it was a tie then let the public choose. but it is road march it is not that serious but the F&FC need to do better they a hot mess. LETS GET THE FACTS STRAIGHT, SHOW TIME MANAGER IS MEMBER OF COMMITTEE THATS TRUE, BUT THERE ARE RULES THAT HE CAN NOT TAKE UP WHEN IT COMES TO JUDGING ROAD MARCH, SO NO CONFLICTS ARE TAKEN PLACES. Ok Ottley we got you point! How only VIBE score sheets have cross-outs on it but no initials? Let us start planning sixty first festival now. Now is the time to plan and work out all the bugs. Festival queen, road march, paying for freedom etc. He should have left it as a tie. I don't agree with making up rules on the spot. He should have left it the way it was and amend the rules for next year to state what will be done if there is a tie. THE ONLY WAY TO BREAK THE TIE IS TO ADD UP HOW MUCH SONGS FROM EACH BAND GOT PLAYED THE MOST AND WHEN U DO THAT WHO IS STILL THE ROAD MARCH CHAMPIONS?? #VIBE!!! "WE FROM THE VI WE DONT NEED NO INTRODUCTION!!!!!" THE CHAIRMAN CAME HIMSELF ON RADIO..AND I KNOW ATLOT OF YOU WERE LISTENING, AND SAID IT WAS A "TIE", HOW IS THE WORLD IF YOU HAVE NOTHING IN PLACE TELL A COMMITTEE WHAT TO DO? IN TRINIDAD BEFORE AND MOST RECENTLY IN ST.THOMAS THERE WAS A TITLE FOR ROAD MARCH AND THE COMMITTEE LEFT IT THAT WAY...BUT NOOOOOOOOOO WE IN THE BVI MUST NOT ABID BY THE RULES, BOSS YOU AINT MY FAVORITE PERSON BUT I'M GLAD YOU DID WHAT YOU DID, BECAUSE THIS JUST SHOWS US THE BIAS BEHAVIOUR OF THESE DAMN LEADERS!! At this point festival is over. Just move on and take the lost. Just come harder next year. Fair is fair but is not always like that. Yall just focusing on the negative of the season. Everyone had a good time and no incidence occurred. Just come harder next year. The ting is you can not watch the parade and say that you only heard one song more over than the others. There were 2 judging stands JTV was only at one stand; more than one of the troupes and DJs played both songs one at each stand, hence how the tie came about. Do the math out of the 60 entries 40 of them had music 20 played showtime at one judges stand 20 played vibe at the other. There you have the TIE!! Now what should have been done was both winners being announced; there is no tie breaker unless you wanted the parade to start over (LOL). No fan of either band but give jacks their jackets n let them regin. You dont need judes to tell you 'Bubble" won. That song practically dominated the entire parade. All the troupes with the exception of Showtime troupe did their routine to "bubble'. it surprise me how much fans vibes have. because i did'nt saw them for monday jouvert. were they home while showtime fans was on display? Boss your behavior is distasteful !!! Get a hold of your self ; you are looking like a child right now ! Let your music speak instead of running to the media every day ! You have lost a lot of points with me ! 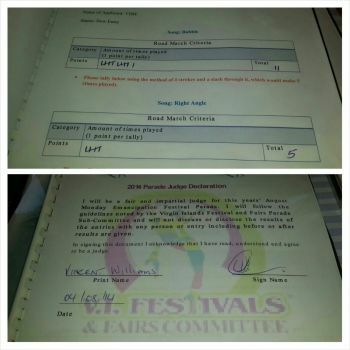 How come you are only posting the point sheet of 2 judges ! Where are the other tallies !!!! Learn to be graceful and accept a lost ! Btw how much of your fans showed up to your album launch party ? There is always next year ! Get over it ! "...and with their decision that they are sharing the title with VIBE, they are now moving on"
Unless that statement and "decision" are retracted, next year the Judges can simply ignore Showtime and just judge VIBE and all the other bands. Showtime can judge itself again. 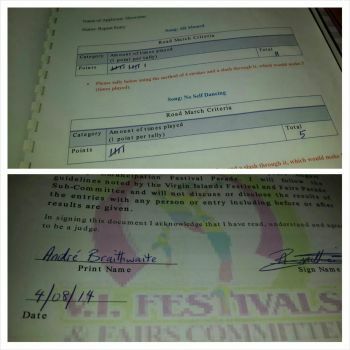 Anyone ever think about what association VIBE's Marketing person has with the VI Festival and Fairs Committee. Wake up people. For such a big monumental event, we Virgin Islanders fail to realize what we are 'SUPPOSE' to celebrate. 61 years ago, our ancestors were unable to have a say, to take a vote, much less to express themselves musically. They were considered less than human, and emancipation was possible only if they stood as a unified body, setting aside petty issues to accomplish a much greater task, so we wouldn't have to suffer the way they did. Today, it's almost like they suffered in vain basically arguing over a stupid band. We are slaves to our own overly critical pessimistic society. It's a pity because as a evolving community our minds are just as primitive as before, brother killing brother over small stuff. Why can't we leave well enough alone and focus on the true meaning for this season? To me it's an Easy fix! It's not like your TAKING anything AWAY from one and giving it to another. Just admit the error and fix it Committee, declare Show Time also as winners, give them a trophy likewise publicly like they did with Vybe! Boss just feel stupid to see he got beat by Jougo, he needs to stop now man. I personally feel that they should start the road march title all over because they broke up in 2012 I believe, but all those other wins Jougo them been with them and helped them win. So instead of fighting for 8X champ, they won last year and now vibes won this year, so it's definitely a tie right now 1-1. I don't even know one song by either band but the principle of the matter is that the matter was handled poorly and no doubt MB as with all his business associations is a poor leader (speaking from experience in dealing with him). Mark my words, if the shoe was on the other foot for those seeing nothing wrong with this unjustified decision, you too would be pissed off but not in the good ole VI where people are so quick to say how this and that should be when they are not the ones involved. I'm a big Showtime fan....but the way Eustace attitude set up .......I'm appalled and highly shame to continue supporting him. I love all music once it sounds good. But takes no sides. Each party produced nice music. More props to VIBE for doing couple music videos .... I would give the extra points for that .... Again I'm truly astounded by the raging negative behavior by Mr Freeman. If Boss would place all that negative energy and did a promotional image similar to what VIBE did, then he would be better off. Boss you have NOTHING going for you. No entertainment promotion, no stage performance, NOTHING! But you find it best to hate on VIBE because????? Maaan grow up, you look like a bratty toddler that won't go school cause he didn't get his fav box juice! You are nothing WITHOUT VIBE!! Go put ACTUAL hard work in!!! VIBE TO THA WORLDDD !